Summers at the campground take on a life of their own. The days are filled with activities from golf lesson to art-in-the-park. There is rarely a dull moment. Last week I volunteered to teach a class at Vacation Bible School, and I knew that I wanted to have a few extra sheets on hand in case our lessons finished early. 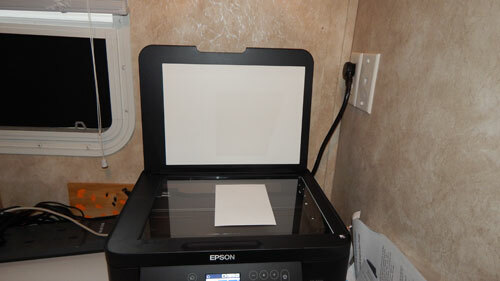 I packed up the “Epson Expression Home XP-5100 Wireless Color Photo Printer with Scanner & Copier” and took it with me out to the campground so that I could do a little printing for the week. The “Epson Expression Home XP-5100 Wireless Color Photo Printer with Scanner & Copier” is a small printer that works well for everyday printing needs. Setting up the printer is easy. The “Start Here” poster walks you through the process. As soon as the printer was connected to the internet we were asked to update the firmware. We chose not to update the firmware at this time because the wireless connection at the campground is limited. Even without the update, the printer works. The front panel is on a hinge and can be adjusted to suit your viewing angle. The screen is small, but I was able to navigate it fairly easily. 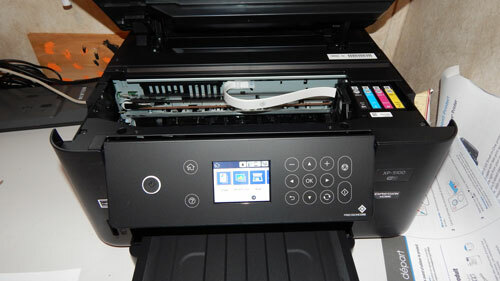 The printer uses 4 individual ink cartridges. When it comes time to replace a cartridge you only need to replace the one that has run out of ink. The instructions say to only use Epson brand ink. It claims that other brands of ink cartridges and ink supplies are not compatible and, even if described as compatible, may not function properly. I haven’t had the opportunity to try any other ink cartridges. It comes with a slot for an SD card, and I was able to scan directly to the card without having to connect to my computer. Using the LCD screen I was able to adjust the DPI of my image and choose other settings. I struggled to get the scanner to connect to my computer so I could use the Epson software. I don’t feel that this is an issue with the scanner, but more to do with the set up we have at the campground. I also discovered that there are other features accessible through the LCD screen. I was able to print off a calendar. There were other options to print off picture packages and lined sheets. The print quality is average. The colours are dull but for everyday printing, it is perfectly acceptable. 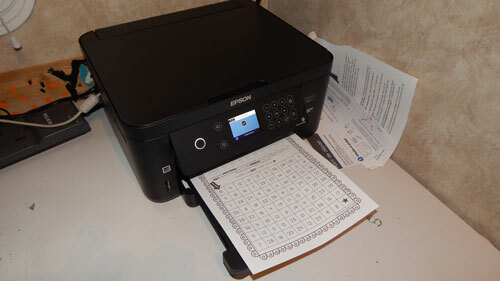 It also offers double-sided printing options. 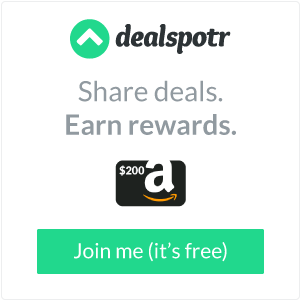 It is wireless so you are able to print from any device. I prefer the “Epson ET-2750” over this printer as it seems to use less ink but the “Epson Expression Home XP-5100 Wireless Color Photo Printer with Scanner & Copier” is a good printer for home use. Its wireless capability makes printing convenient and easy. *Disclosure: I received a complimentary “Epson Expression Home XP-5100 Wireless Color Photo Printer with Scanner & Copier” through the Amazon Vine Program. All opinions are 100% my own.